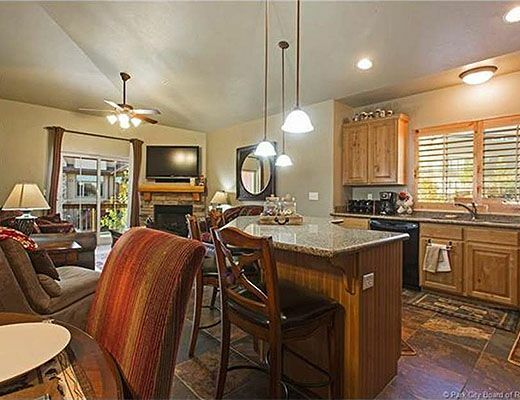 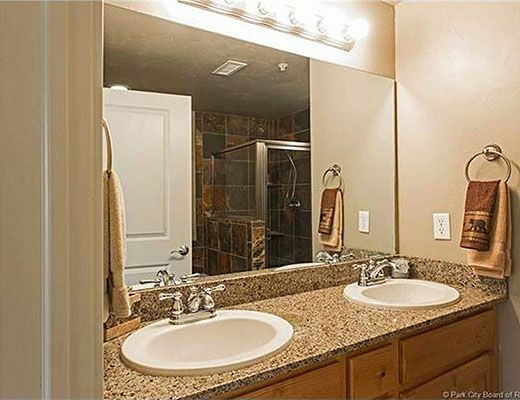 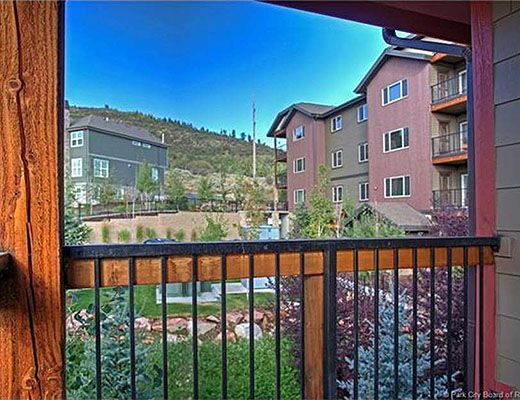 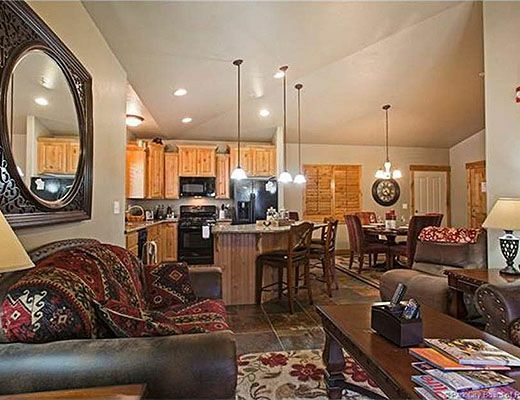 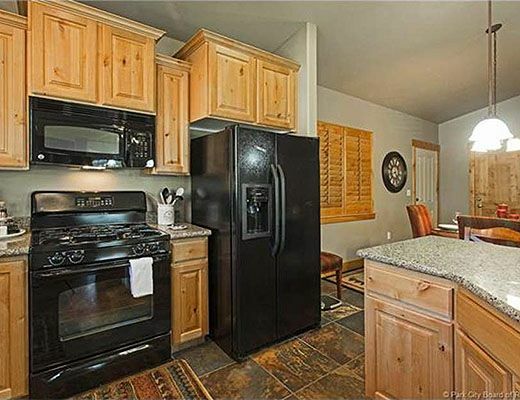 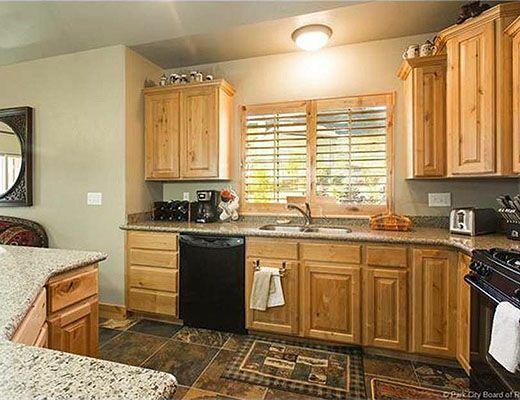 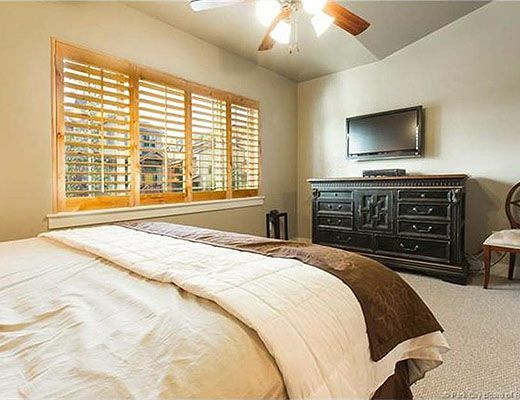 A quintessential mountain getaway awaits you and your guests at this three bedroom, top floor/corner unit in Bear Hollow Village, an upscale neighborhood with amenities galore surrounded by gorgeous mountain views. 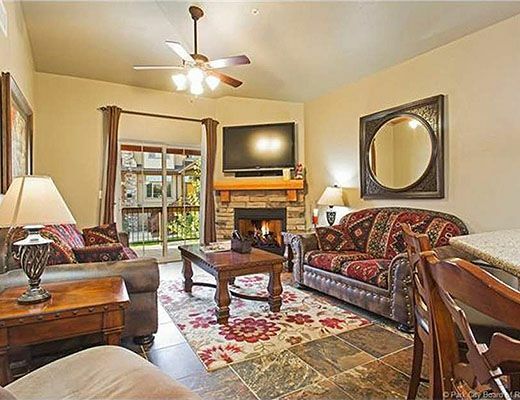 This well-appointed 1,330 square foot condo offers an open space floor plan with vaulted ceilings that is perfect for families and diverse travel groups. 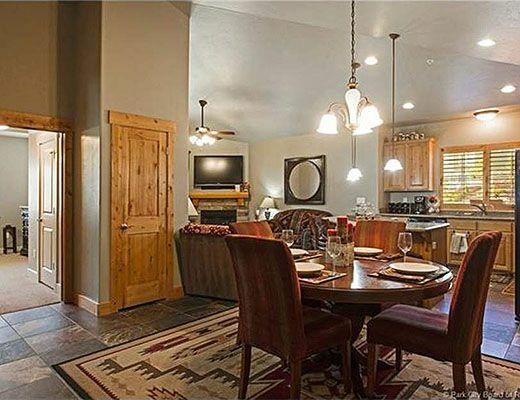 The combination of beautiful slate flooring throughout and modern/rustic furnishings in a neutral dÃ©cor create a feeling of cozy mountain living. 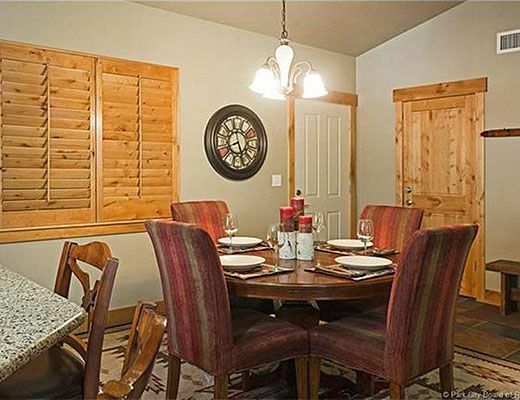 The formal dining offers abundant space for entertaining: the dining table has seating for five with additional seating for three at the granite island bar. 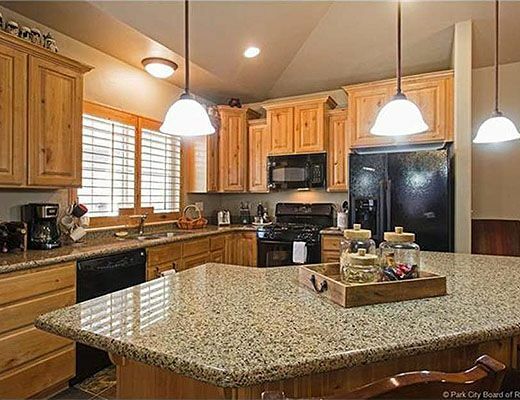 The eat-in kitchen has granite counter tops, all appliances (refrigerator, stovetop, oven, microwave and dishwasher), and is completely stocked with dishes, flatware, glassware and all cooking utensils. 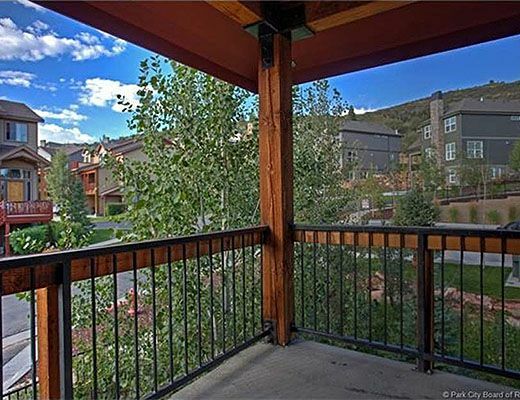 If you prefer to BBQ, you can grill on your private deck with views of the mountains. 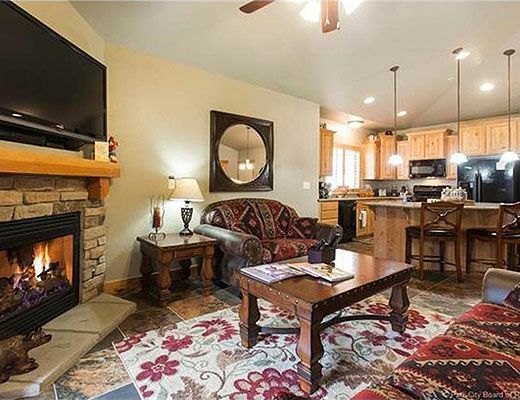 The adjacent family room provides space to relax by the fire, watch TV or connect to Wi-Fi. 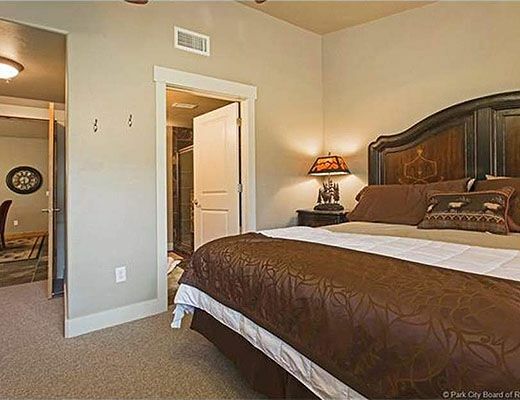 The master bedroom offers privacy with a king bed and spacious en suite bath retreat (separate jetted spa tub, walk-in shower and dual vanity). 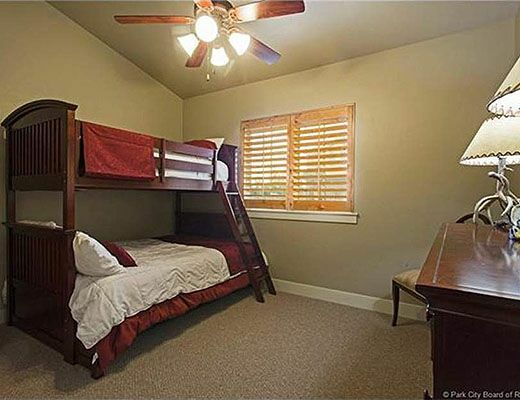 The second bedroom has a queen bed, while the third bedroom features twin-over-full bunk beds - perfect for younger guests! 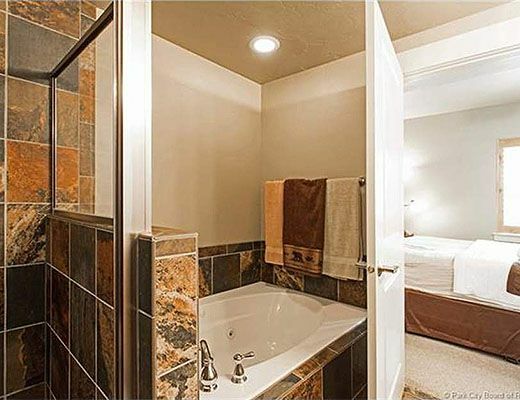 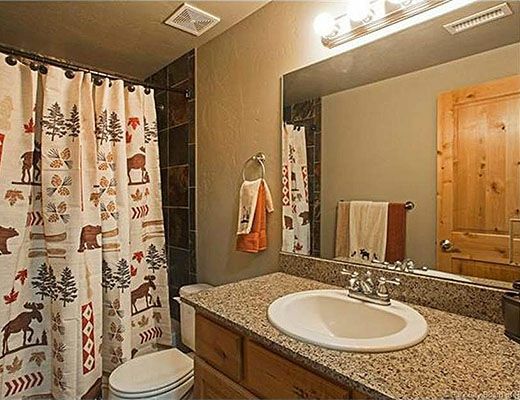 These two bedrooms share a hall bathroom. 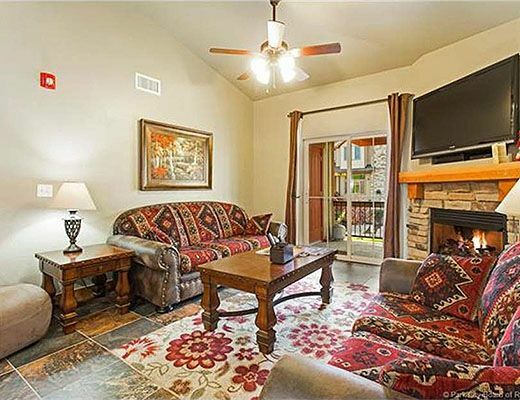 The condo comfortably sleeps 7, plus there is a sofa pullout in the family room. 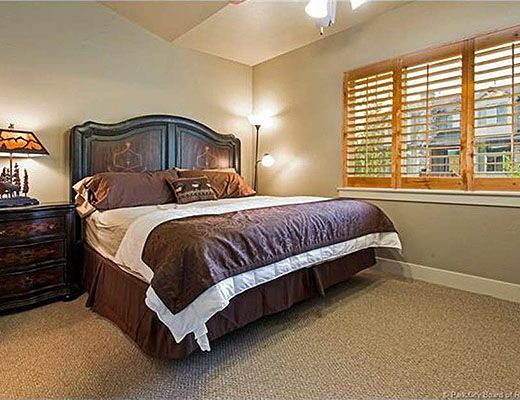 All bedding and towels are plush and soft, plus extra sheets and towels (including pool towels) are provided. 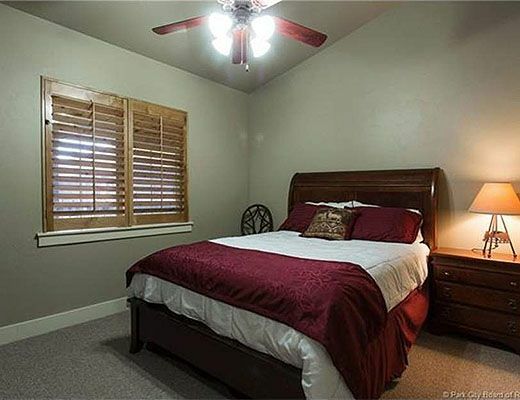 Guests of this condo also have their own washer/dryer for a mid-vacation laundry day, central A/C, one underground assigned parking spot with a private storage closet to store your gear, plus additional parking on the street if needed. 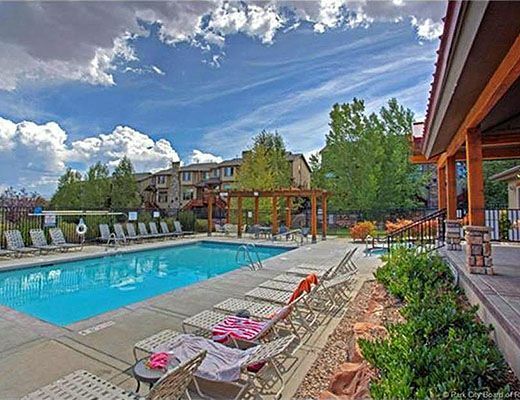 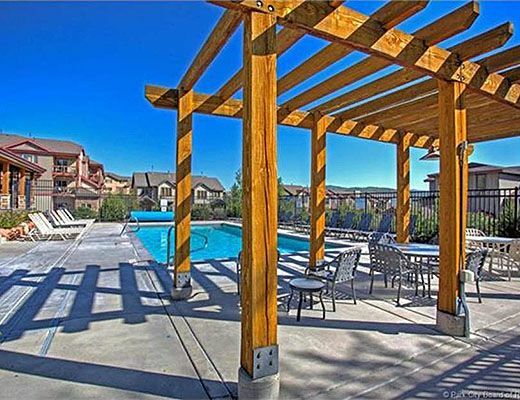 Guests have access to the Bear Hollow Clubhouse that is located only steps away from the condo. 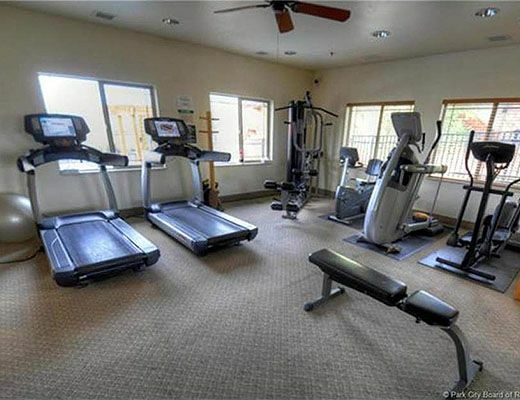 The clubhouse facility has a seasonal pool, fitness center, hot tub, locker-rooms, lounge with large plasma TV, fireplace, and business center with high-speed internet access. 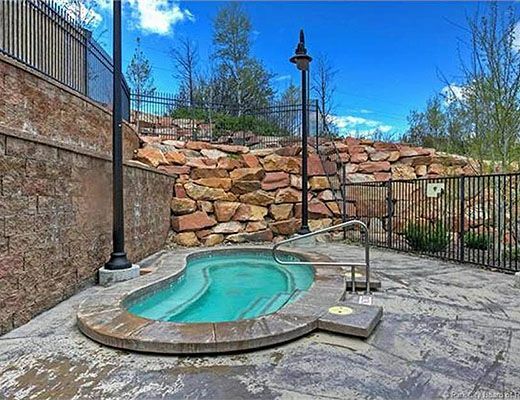 There are also a couple additional hot tubs hidden around the neighborhood for you to enjoy.